http://www.sacpros.org proudly enables Mental Health Consumers, Family Members and Advocates, Counselors, Social Workers, Psychologists, Case Managers, Alcohol and Other Drug Abuse Counselors, Therapists, Marriage & Family Therapists, Educators, Nurses, any Mental Health Professionals and other Related Healthcare Professionals to find pertinent mental health information, identify available services, support programs, housing, and other community resources in simple and quick ways. Thank you for following my blog. I hope you find my natural approach to healing helpful. And good luck with yours! Thanks for stopping by. Mental Health is so important, but is often overlooked by healthcare providers. Sacpros, many thanks for your following and a privilege to know your blog. Thanks for the follow! Do what you do best! Thank you for following my blog! Really appreciate the support! Hi Sacpros – I love the mission and focus of your blog. Very important work. Thank you for choosing to follow one of my blogs (http://smilekiddo.wordpress.com) – I really appreciate it! Hello Sacpros! Just wanted to say thank’s a lot for following my blog, I really look forward to reading more of your articles! It is such a relief to see that somebody cares enough to spend their time on this issues! Thank you for following, many levels of fiction to follow. Romance, Science fiction, horror, medical, historical. Much is coming down the pike. Keep tuned. Also the profile here needs to be created. Write out your mission, your statement. This is a good spot to find things and I am just south of you. If’n yer gonna be a bear, be a griz! (Reference to the California Capital and flag) and tell everyone. Thanks for following my blog. I will try not to let you down. Thank you for following my blog and for all you do!! Your contributions through this blog are supposed to benefit many. Thanks. You sure are “Spot On” that no one is safe from Mental/Emotional illness & disorders. I’m a Dual diagnosed woman who lives in recovery and live with mental illness. Some of my disorders came from the direct effects from my years of addicted compulsive gambling, and mental illness. Thanks for being out here helping us Raise Awareness. I shared my addictions and mental health illness in my current book out to share my story, and also help fight STIGMA! OH! and Thanks for stopping by my recovery blog neighborhood where I continue my online journey! Although this is a bit late, thank you for liking the CCE blog post….wishing you Light and Peace along your Journey. Thanks for the follow! Keep up the great work you are doing! Thanks for the follow. This website is a great resource of information!! Raising a child with mental illness can be a lonely journey. So thanks for following my blog. Thanks also for all you do to improve the lives of people living with mental illness! Thanks for following my blog. I am a licensed counselor, turned writer, so I understand what your doing here. I left the profession, but applaud you for keeping with this arena and educating so many on mental illness. Thank you for this blog, I really mean that- we do not talk about mental health anywhere near enough and it is so important that you all are engaging conversation on the topic!!! I’m honored you are following my blog…and impressed with the work you’re doing. Thank you! Wonderful way to get your message out. I hope it reaches the attention of people who will actually partner to make a difference on the ground. Thanks for the follow today. Thank you for following my blog! It is good to see your work in my hometown. As a young person, I needed more mental health resources than I had. I hope that others are helped by your work. Looks like a valuable initiative you’re involved with here. Thanks for following my blog. We all need all the support we can get! Thank you for the follow ! Your work is very important and valuable to all ! Thank you for visiting and following Snowbird of Paradise. Your blog is an interesting and valuable resource. Keep up the good work! Greetings and thank you for following The Enchanted Blog. Banish stress and transform your life (and the lives of those you touch) into an enchanted journey! Thank-you very much for following my blog. I wish you well in your work. Both my daughters have mental health issues and we are well aware that too little time and money is spent on improving mental health care (in Britain at least). Thank you for following my Blog – how ever did you find me? Is it that obvious? Kiss-kiss! Hello and thank you for following my blog. My daughter’s testing for Asperger’s sent me on a quest and it’s so wonderful to know that there are organizations like yours, especially with an online presence, that make information accessible. Thank you for showing interest in what I put out. I sincerely hope you continue to find my posts entertaining & pleasurable. Be safe.Thank you for showing interest in what I put out. I sincerely hope you continue to find my posts entertaining & pleasurable. Be safe. Thank you for the follow! Much appreciated. And thank you for the work you are doing. 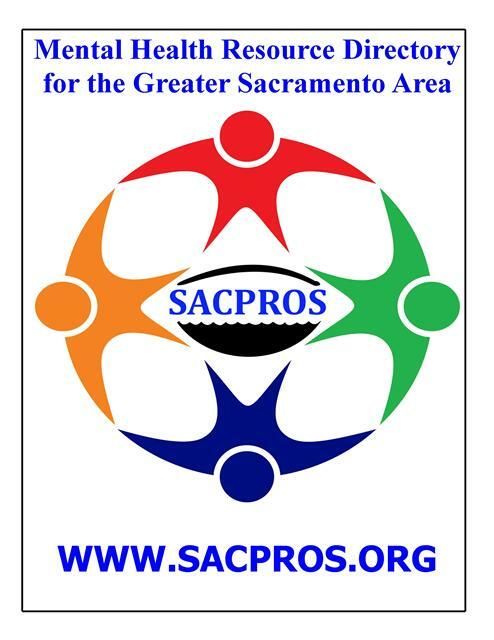 Thanks for the follow, Sacpros . . . wishing you abundant encouragement in providing such an important resource for the Sacramento and world community. Thank you for reading, and best wishes for all your outreach and supportive efforts. Thank you for following my blog. I know divorce can be a very difficult time. It is often accompanied by depression, anger and immense sadness. I hope to encourage 50something women who are divorced or going through a divorce. Thank you for being a wonderful resource to so many people! Thank you so much for following my blog, I really appreciate it. Best wishes to you! Thank you for choosing to follow my blog, Good-Bye Normal. I hope to one day collaborate when I’m in the area speaking because spinal cord injuries and the life they change can be devastating. Keep advocating and I wish your organization well!